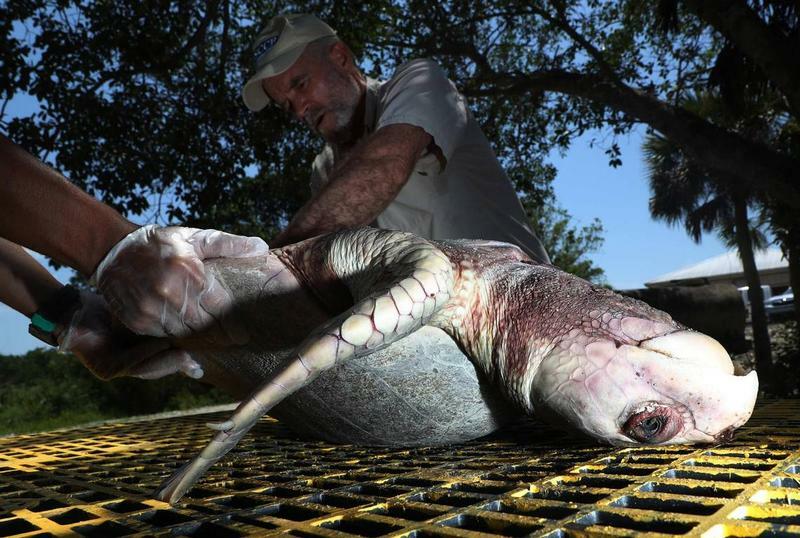 Rick Bartleson, a research scientist for the Sanibel-Captiva Conservation Foundation, performs a necropsy on a Kemp’s Ridley sea turtle suspected of dying from red tide poisoning last month. 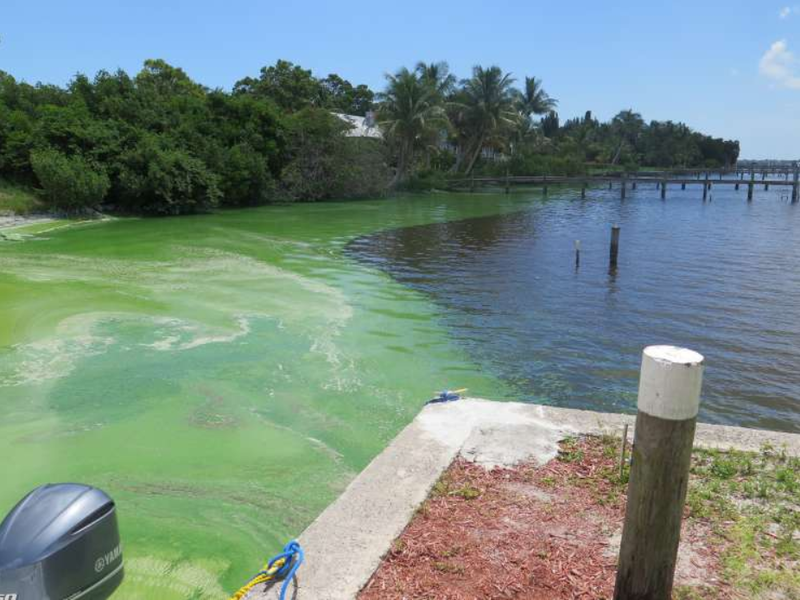 Over the last decade, as the state fought federal efforts to protect water, shrunk its own environmental and water-management agencies, and cut funding to an algae task force, monitoring for water quality has plummeted. 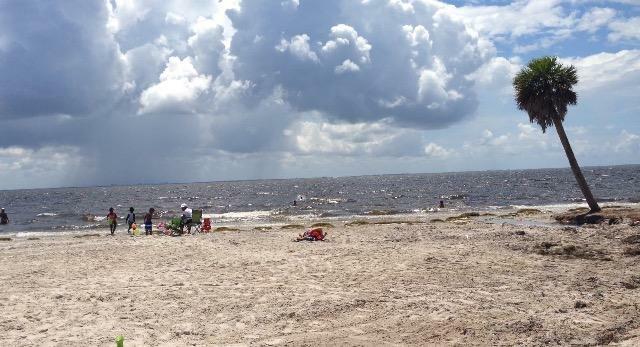 While one crisis after another hit Florida, state and federal funding that paid for a massive coastal network with nearly three decades of information dwindled from about 350 stations to 115, according to Florida International University’s Southeast Environmental Research Center. Delaney Reynolds is an 18-year-old college freshman at University of Miami's Rosenstiel School of Marine and Atmospheric Science and a climate activist. 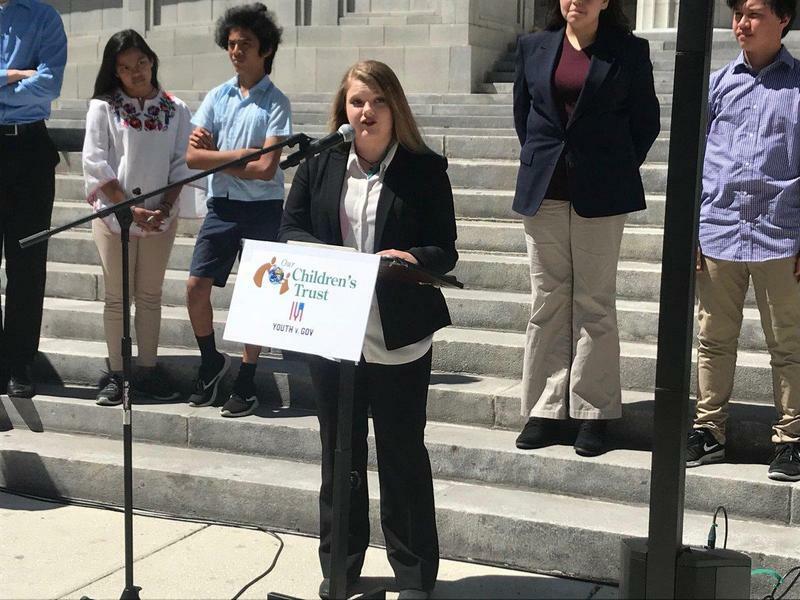 She's leading a lawsuit introduced by 18 Florida kids and teens against the state and Gov. Rick Scott over climate change, Reynolds v. State of Florida. They’re suing him with help from the Oregon-based nonprofit Our Children’s Trust.